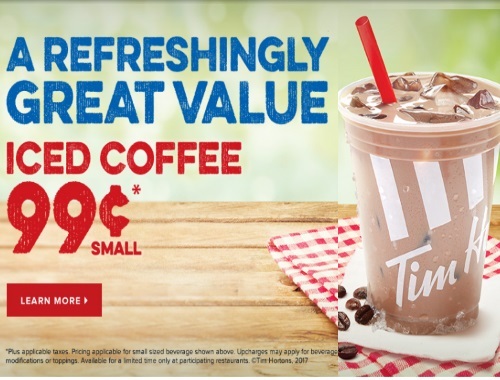 Tim Hortons has a hot offer for the end of summer! Get a Small Iced Coffee for only $0.99! Offer is available for a limited time at participating retailers.